Home » CBI » Using QE to Your Advantage – Subscriber Tools 1 – The Catapult & the CBI. Using QE to Your Advantage – Subscriber Tools 1 – The Catapult & the CBI. 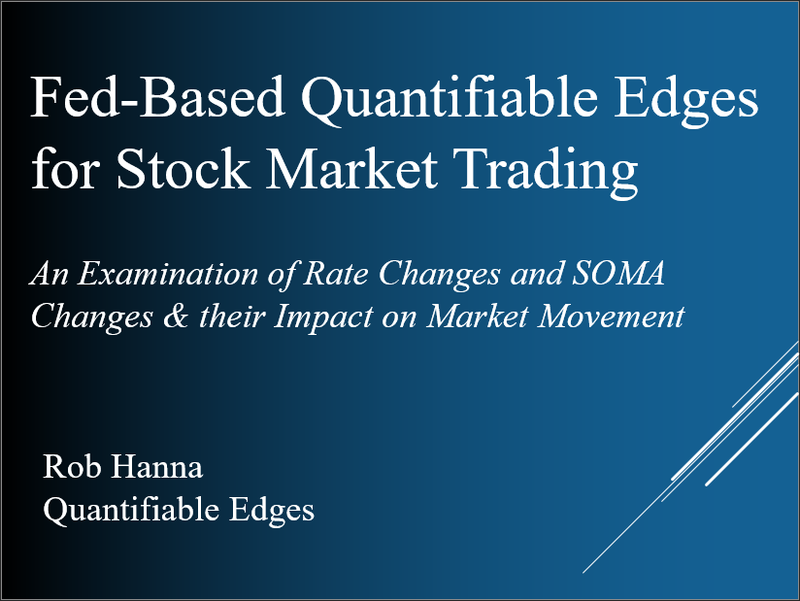 So far in my series, “Using Quantifiable Edges to your Advantage” I have focused on the historical analysis studies, how to interpret them, and how to apply them to your trading. In the next few segments I’m going to highlight and discuss some of the tools available to Quantifiable Edges subscribers. The first set of tools I’m going to discuss is the Catapult System & the Capitulative Breadth Indicator (CBI). I designed the Catapult System in 2005. At the time much of my trading revolved around trend following. One of the holes identified in my trend following approach was that it didn’t allow me to benefit from explosive reversals and short covering rallies that often occurred near bottoms. I often missed good portions of rallies because I was waiting for trend confirmation. After considering this for some time I decided to try and develop a complementary system to my trend following approach. Since my exposure would typically be quite low during these bottoming events I figured a methodology that could take advantage of them for short-term gains would work quite nicely. I could benefit from the reversal and then be out of those trades and ready to get back into some trend of trades as the new trend confirmed and those trades became available. It was this line of thinking that led me to develop the Catapult System. And though I don’t do as much trend trading these days, and instead focus more on swing trading, I’ve still found the Catapult System to be very valuable. To develop the system I conducted a large number of studies focused on identifying capitulative selling situations. In doing so I managed to discover a few key characteristics that I used to locate likely reversal areas. This is the essence of the Catapult System. Two things I found important when considering the predictability of capitulative selling resulting in a reversal were 1) institutional ownership and 2) liquidity. It is for this reason that I have always demanded both for trading individual stocks. For ETFs I don’t really worry about institutional ownership, but I do demand liquidity. The Capitulative Breadth Indicator (CBI) is basically just a count of the number of open catapult trades among S&P 100 stocks. I’ve charted and discussed this indicator many times since beginning the blog in 2008. I’ve been able to generate the CBI using back tests from 1995-2005, and then using real-time data from mid-2005 to the present. My basic finding has been that high CBI readings have often been followed a strong reversals. Basically the more individual stocks you have suggesting selling has become too extreme and a reversal is likely, the more likely a broad market reversal becomes. The graphics below I’ve just produced for the first time. The top of each chart shows the S&P 500. The indicator on the bottom is the CBI. One way I track catapult trades is by “clusters”. A cluster of trades begins when the CBI moves above zero and it ends when the CBI returns back to zero. Historically I found over 90% of clusters would have been net winners had you taken all the trades in the cluster with equal size. Above each cluster in the charts below is a number. That number shows the net additive gains (or losses) that would’ve been generated by that particular cluster. Next is the 2009 Catapult & CBI results chart. The large cluster during the March selloff was very disappointing though the negative result was thanks to the worst trade ever. 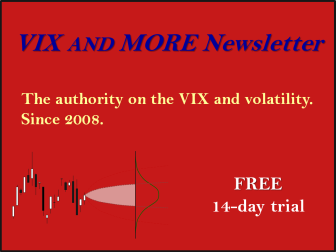 There were a couple of clusters where trades shown in the subscriber letter did not get fills. Then the long steady uptrend contains some nicely profitable buying opportunities on the dips. Lastly, let’s examine the 2010 chart. There were only five clusters in 2010, though two of them were quite large. All of them were profitable, and the big, scary market drops led to some great Catapult results. The Catapult System is in no way a complete stand-alone methodology for managing a portfolio. It could be used as a way to extract profits from the market during times where other strategies may exhibit little or no edge. And even those people who are averse to trading individual stocks could benefit by incorporating the CBI into their index trading techniques. There have not been any catapult trades so far in 2011, and very few since the market rally began in July of 2010. The good times won’t last forever though, and I’m afraid we are likely to see more big market drops occur in the next few years. 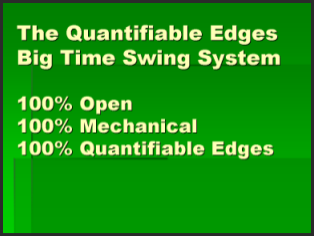 Quantifiable Edges is prepared to try and take advantage of these drops using the Catapult System. If you think the catapult system might work as a new weapon in your arsenal and you’d like to learn more about it you can sign up for a gold membership here, or a trial subscription to Quantifiable Edges here.